The 32nd Session of the Joint Implementation Supervisory Committee (JISC) of the United Nations Framework Convention on Climate Change (UNFCCC) has ended. Mr Carlos Fuller, the Caribbean Community Climate Change Centre’s International and Regional Liaison Officer, participated in the recently concluded (June 17 and 18) event in Bonn, Germany. Mr Fuller functioned as the alternate member of the Latin America and Caribbean Regional Group (GRULAC). The JISC is chaired by Mr Derreck Oderson of Barbados, who is also the substantive member of the Small Island States (SIDS) grouping. JISC is the body established by the meeting of the Parties of the Kyoto Protocol (CMP) to provide oversight over joint implementation (JI) projects. Joint Implementation is one of the flexibility mechanisms established by the Kyoto Protocol that enables carbon credits to be generated by investments in projects, which reduce emissions of greenhouse gases in developed countries. The CDM on the other hand, generates credits by implementing projects in developing countries. At present there are two tracks that countries can use to implement JI projects. Under Track 1, the host country supervises all aspects of the project. If a country decides to utilize the Track 2 approach, the project is supervised by the JISC which has the authority to approve and reject projects if it does not meet prescribed criteria. To develop measures for the establishment of emission baselines and procedures to demonstrate additionality. These recommendations will be finalized at the next session of the JISC scheduled to be held in Bonn in late September 2013. 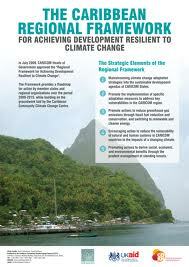 By caribbeanclimate in News on June 21, 2013 .